– Save all Image ALT Text in one page. 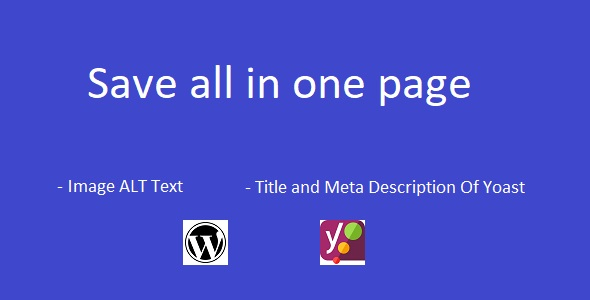 – Save all Title and Meta description of Yoast . – Admin can disable Save all in one page Plugin.